Water, the most precious natural resource, is depleting quickly. It is one thing that we have taken for granted for quite a long time now. But with the depleting levels of water, we have become increasingly aware of the importance of water and need to save it. The main reason for the water crisis is environmental pollution. As a result of the pollution the underground layer of soil and water is depleting fast. Tube wells and taps are running dry in summer as the aftermath of this depletion. People have started starving for water, especially in the arid areas. As a result, they turn to filthy sources of water like lakes, ponds and stagnant sources. This makes them fall ill and at times also gives way to epidemics. People are not only dying of thirst but also of diseases caused by water due to the water crisis. This has given way of many ways of preserving water. One among such methods is rain water harvesting. Rainwater harvesting is the process of collecting the rainwater from the surfaces it falls and and then collecting it for the use in the future. Usually, the water is collected from the roof and stored in a tank. It can also be stored in dams or let it fall on the ground, creating a runoff. Rainwater harvesting is sustainable, economical and safe source of good quality water if collected and stored in right way. Rainwater harvesting is important in many ways. The prime one being, it will save us from water shortage. Once you start harvesting rainwater, you have your own supply of water that can be used wisely. It is safe as it is the purest form, untouched by bacteria, viruses, chemicals and rust and dirt of pipes. You can also use the stored water for agricultural purpose and feeding your livestock. It also has the potential of preventing drought like situation. Rainwater harvesting can also satisfy the ever rising need of water and the quantity of the water in subterranean can be increased. This will also save the water getting wasted in drains and gutter and the water logging on the roads can also be prevented. It will also stop the soil erosion. Rainwater harvesting also gives you a renewable natural source of water. There are two main methods of rainwater harvesting- surface runoff harvesting and rooftop harvesting. Surface runoff method is used mainly in the urban areas where the rainwater flows away as the surface runoff. This runoff is then collected and stored and is used. It is also used for recharging aquifers with the help of proper methods. In the rooftop harvest method, rainwater is caught where it falls. Here, the roof becomes the catchments and the rainwater is collected from the roof of the house or the building. It can be either stored or can be diverted somewhere through a proper channel. It can be used for artificial recharge system. Rooftop harvesting is effective and very economic. If used properly, it can also help in increasing the groundwater level of the area. However, the dirty roofs add to the hesitation of collecting water from rooftop. 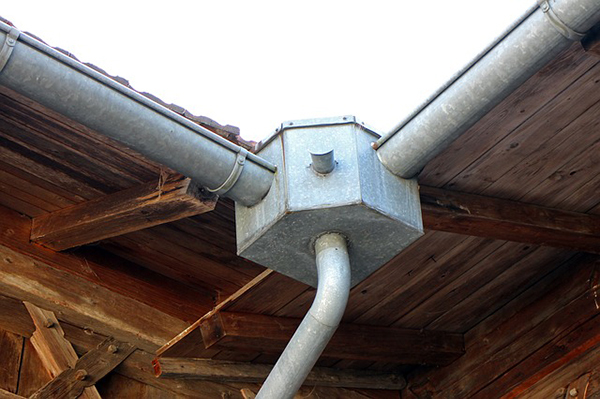 For the solution, numerous rain diverters or first flush devices are available in the market. They flush off or divert the first flow of water, hence removing the contaminants or bacteria from the harvested water that can be present in the water previously. The regions with hot climate suffer the shortage of water most. This heat can be used for getting rid of the crisis in the region. The solar powered water purifiers uses zinc oxide and titanium oxide in the containers that are exposed to the ultraviolet radiations. This makes the water purified and suitable for drinking. Leaks in the water storage and transporting systems should also be kept in check. Leakage results in more loss of water than we can think of. CO2 cleaning is also a vital part of preventing the water crisis. In this process solid form of carbon dioxide is used to clean various surfaces. It is recycled from the industrial waste. This helps in two things, solving the water crisis and preserving environment. Rainwater harvesting can be done on Industrial basis and household basis as well. You can have your own supply of fresh water, reducing your water bill and ensuring that you never run short of water. All you need is proper equipment and the knowledge of process of rainwater harvesting.